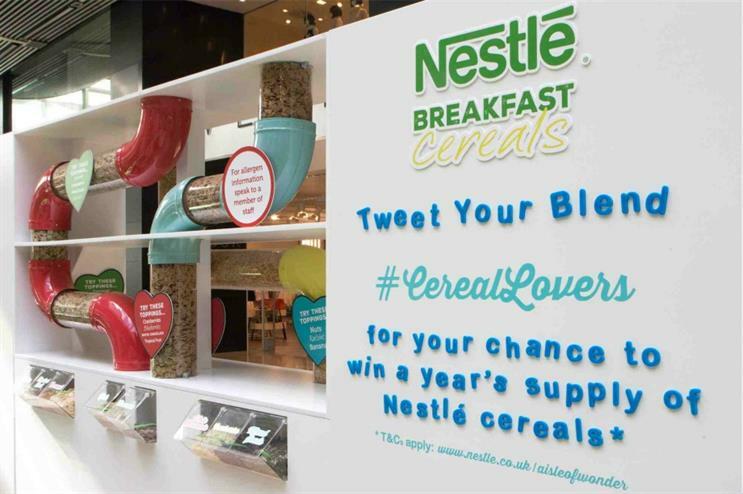 Last month Nestlé Cereals delighted cereal lovers at two UK shopping centres with its Aisle of Wonder pick and mix breakfast experience. The pop-up was located at Westfield Stratford, from 1-7 April, before moving to the Arndale Centre in Manchester from 9-15 April. The brand invited consumers to choose from a selection of 12 different Nestlé cereals, including Nesquik, Shredded Wheat, Shreddies, Cherry Bakewell Shredded Wheat, Curiously Cinnamon and Cheerios. They could either have a bowl of just one, or mix and match their favourites. During the event, 24,719 serves of cereal were given away, which equates to 173,033 ounces of cereal. More than 3,000 litres of milk/yoghurt was also consumed - enough to fill 38 baths. According to agency Hot Pickle, which created the space, there were 2.2m opportunities for consumers to see the activity - which is the equivalent of the combined populations of Birmingham, Leeds and Manchester. 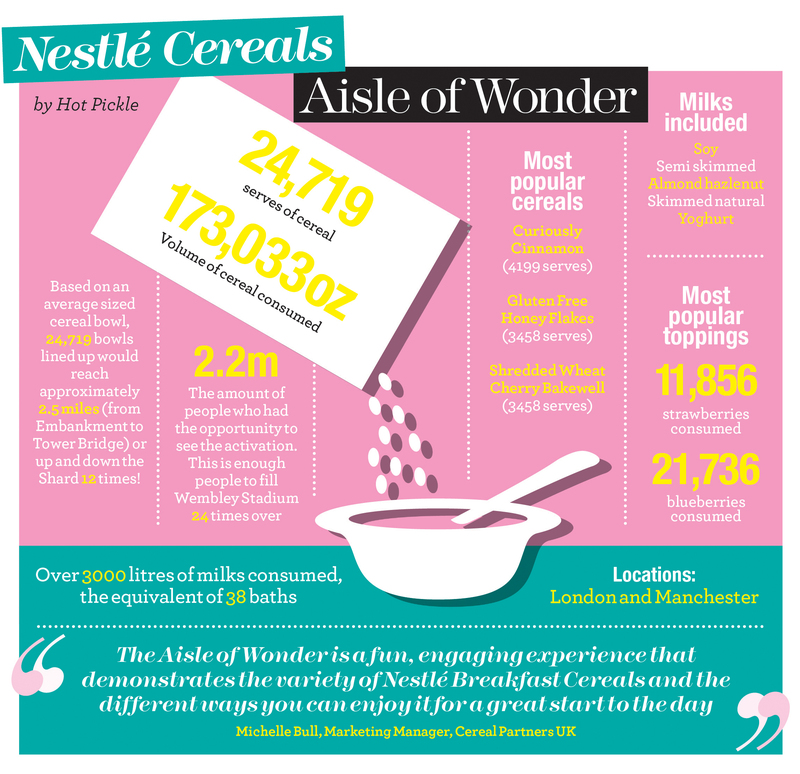 Michelle Bull, marketing manager, Cereal Partners UK, said: "The Aisle of Wonder was a fun, engaging experience that demonstrated the variety of Nestlé Breakfast Cereals and the different ways you can enjoy it."